With its spacious seating, Cascade forms the perfect lounge chair. 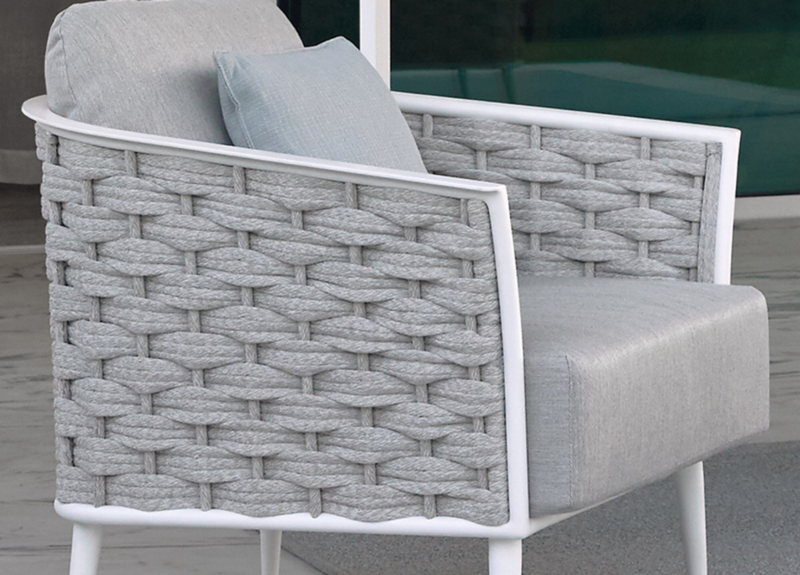 Finished with an intriguing mix of powder coated aluminium and thick woven rope, the Cascade 1-seater and 2/3-seater sofas ooze style and comfort. 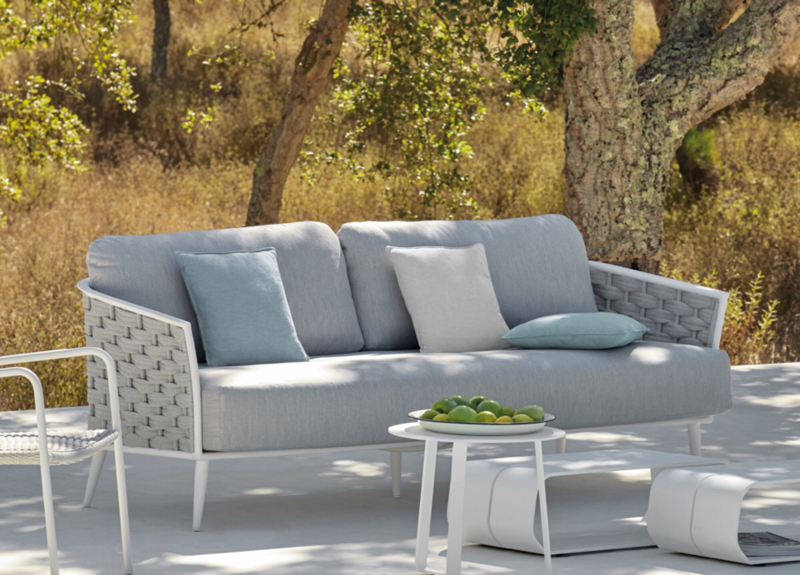 By the poolside or on the terrace, the Cascade collection offers a luxurious seating experience for relaxing days and cosy nights. Lava and anthracite or white and silver? Both combinations team perfectly with Cascade's decorative cushions.